An amateur GoPro video has been released online showing first-hand experience at North Korea’s first ever luxury ski resort built at the personal initiative of Kim Jong-un. 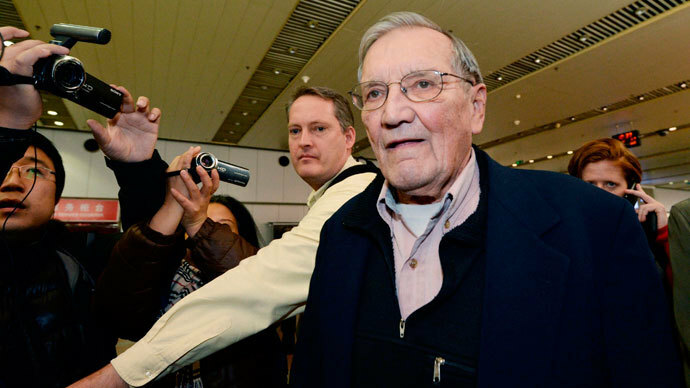 An author of the video, Simon Cockerell of Beijing-based Koryo Tours, one of the few foreign tour companies operating in North Korea, was one of the first visitors invited to the resort. He has also written down his first impression of the company’s website. 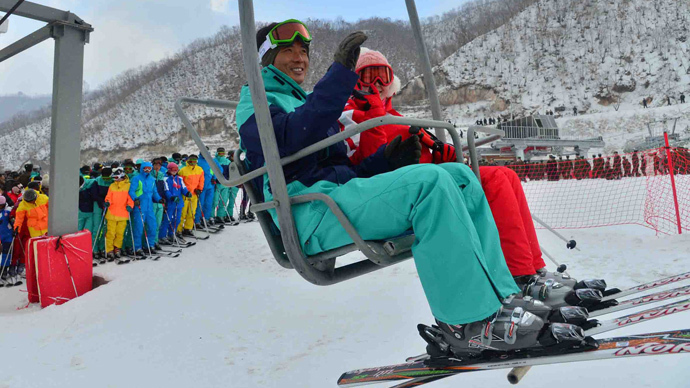 Masik Pass Ski resort is located in Kangwon province, about a 2.5 hour drive from the nation's capital Pyongyang. It features everything modern ski resorts do – a hotel (even with internet is available for $0.20 per minute), ski-lifts (specially made in China), ski rentals, bars and 110 kilometers of slopes. There are 11 multi-level ski runs including two beginner slopes and a large number of trainers. Masik Pass Ski resort can be enjoyed for relatively low prices. A day-pass ticket costs around 25 euro (US$34), while accommodation is pricier, but still less than at “European competitor resorts” - 120-200 euro (US$ 163-271), according to South Korean news agency Yonhap. A stunning view from the top of the mountain comes as pleasant bonus. The ski resort, which has cost, according to AFP, an estimated $300 million, was opened for public on January, 1. 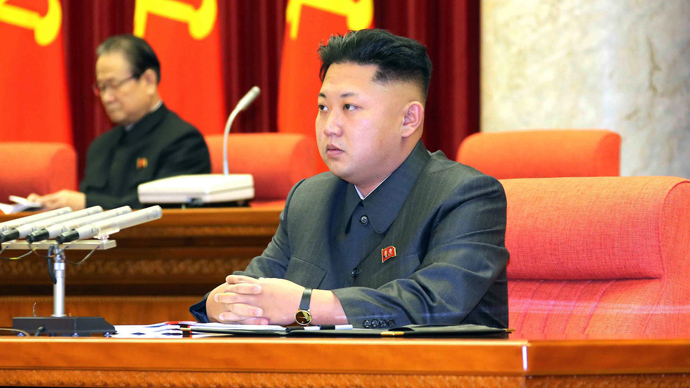 The day before, at the official ceremony, Kim Jong-un took a test ride on one of the new lifts and looked over the resort, he said was "at the center of the world's attention", according to the Korean Central News Agency (KCNA). At the opening ceremony the leader promised visitors would be well looked after to ensure they “keenly feel the loving care of the party,” local media reported. The resort is said to be built at the personal initiative of Kim, who is believed to have enjoyed skiing in the Alps while studying in Switzerland in the 1990s. Kim’s pet project made headlines in August when Switzerland blocked a $7.6 million sale of ski lifts to Pyongyang and called it a "propaganda project" for the regime.